This could be the first of *many* such decisions, given just how ridiculous the mainstream media’s coverage of the Trump family has been. 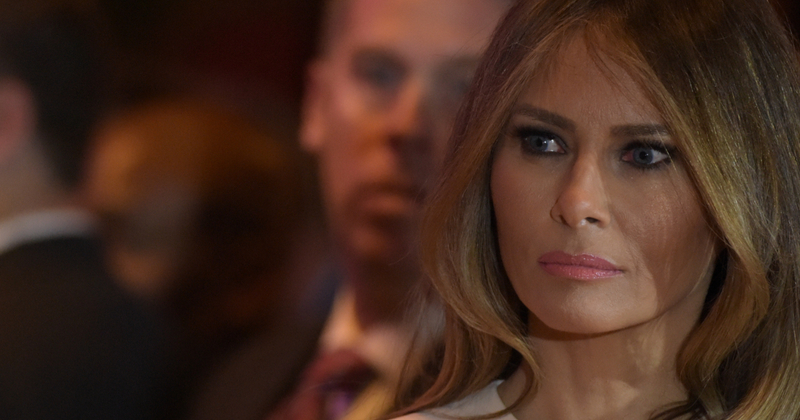 From the moment that Donald Trump and his wife Melania stepped on to the international political stage, there has been an ongoing stream of “news”-based attacks on the couple. President Trump has certainly taken his fair share of criticism….plus death threats, collusion conspiracy theories, and limitless investigations into his personal life at the hands of Robert Mueller. For this, the President has been lambasted by the mainstream media, with CNN and others touting bizarre metrics in their measurement of Mueller’s success in order to insinuate that Trump is somehow a compromised Russian agent. First Lady Melania Trump has not been spared by the mainstream media either, with a number of false and misleading articles having already been published regarding her time as the wife of a President. One such attack was so off-base and vile, however, that the publishers now owe Mrs. Trump quite a bit of money. Britain’s Telegraph newspaper has apologized and paid damages to U.S. First Lady Melania Trump after publishing an article it says contains many false statements. The newspaper said Saturday it apologizes “unreservedly” to Mrs. Trump and her family for any embarrassment caused by the content of a cover story published Jan. 19 in the newspaper’s weekly magazine supplement. “As a mark of our regret we have agreed to pay Mrs. Trump substantial damages as well as her legal costs,” The Telegraph said. The newspaper did not disclose the size of the settlement with Mrs. Trump. The Telegraph said it falsely characterized Mrs. Trump’s father’s personality, falsely reported the reasons she left an architecture program, and falsely reported her career as a model was unsuccessful before she met Donald Trump. There were even more disparaging remarks to be read as well. “The claim that Mrs. Trump cried on election night is also false,” The Telegraph said. It also retracted the statement that Mrs. Trump’s father, mother and sister had relocated to New York in 2005 to live in buildings owned by Trump. Given the extreme amount of anti-Trump sentiment floating around in newspapers all over the world today, it wouldn’t be surprising to see this decision as a precedent for which other outfits could also be punished.